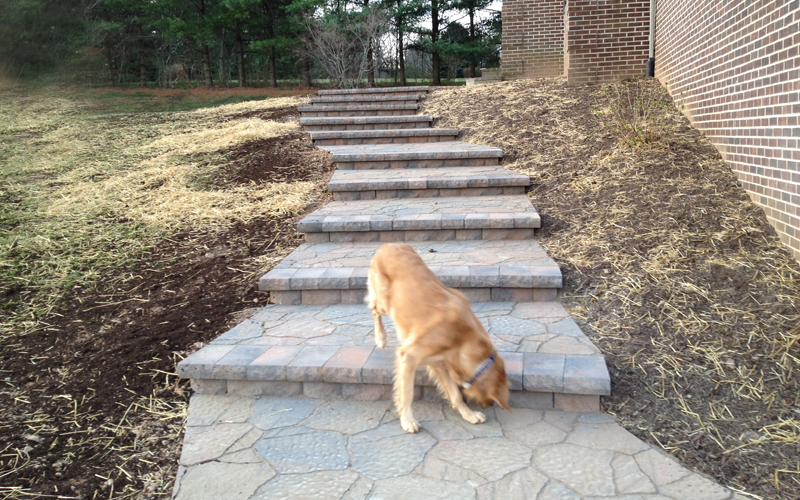 A stone paver walkway can add so much to your landscape. 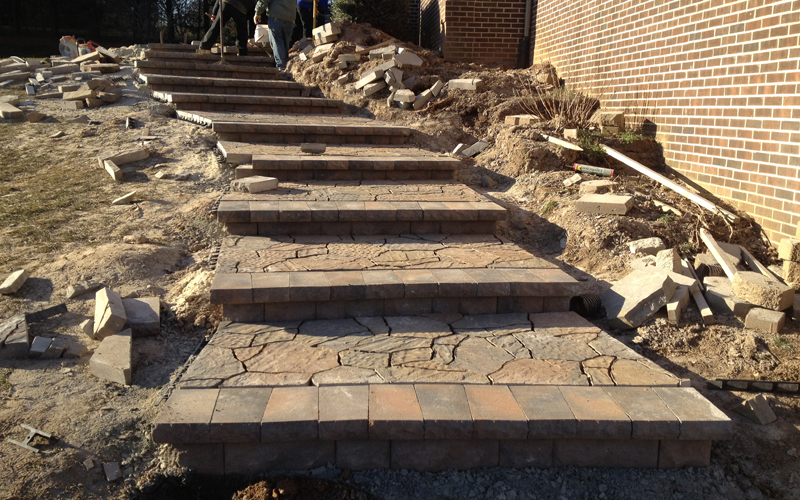 At Gold Leaf Group we handle all sorts of projects in regards to designing landscape construction. We will help you figure out what works best for your particular needs. 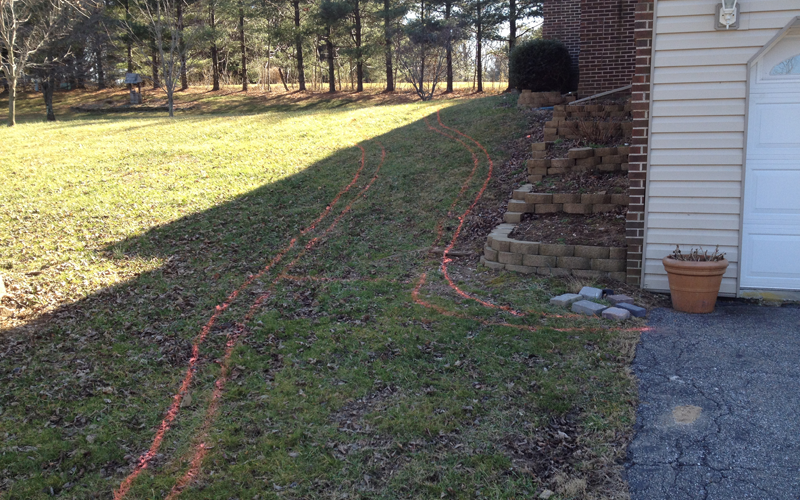 The following customer needed some kind of walkway designed and constructed. The customer had a unique situation. They came to us and told us that they had 60 days before they would be entertaining 100 guests for a wedding at their house. 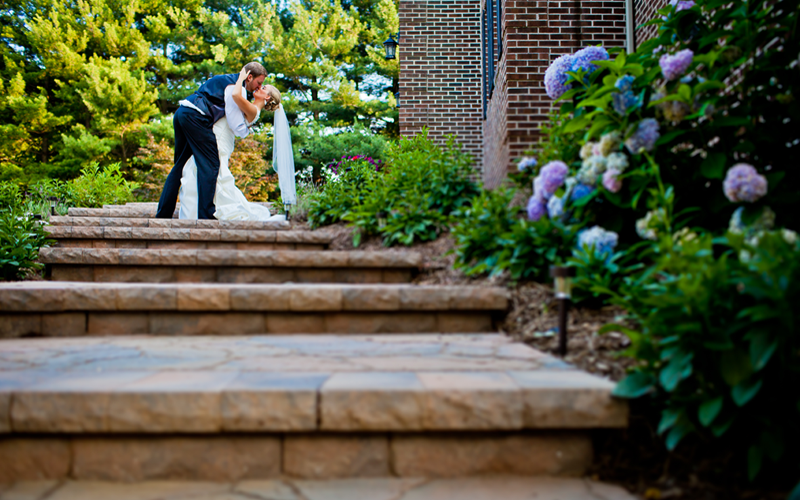 It was important to them that their yard look perfect for this occasion. Curiously, when their house was built, no walkway leading from the driveway to the front door was installed. Gold Leaf Group created a beautiful stone walkway surrounded by colorful plantings of flowers, shrubs and trees. This transformed the space into a magnificent and functional entryway to the front door.